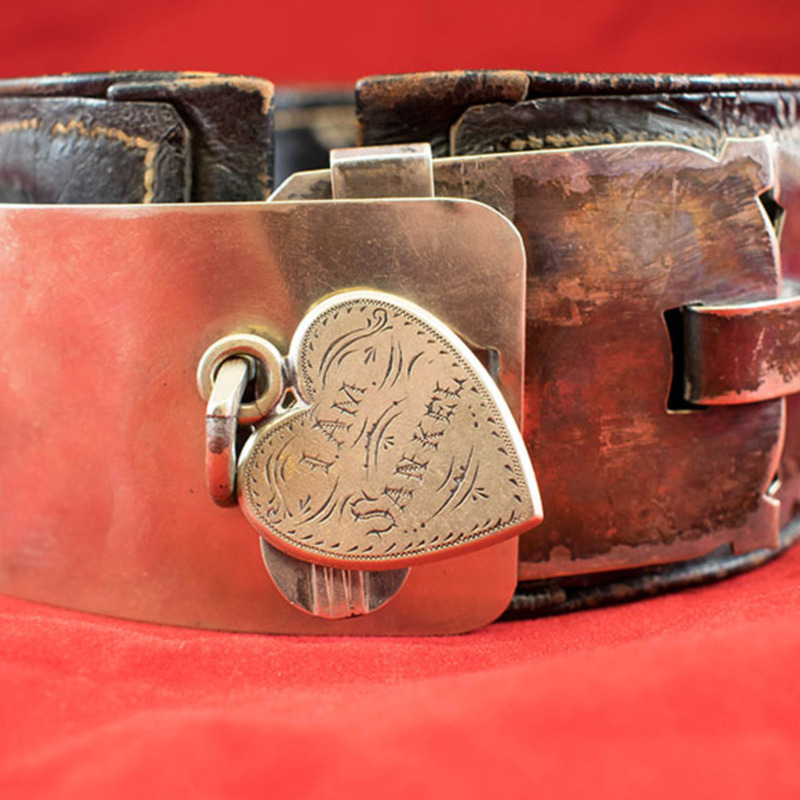 Sankel was a dog who wore this collar to which was attached a collecting box for the Glasgow Eye Infirmary. He performed various tricks in public houses around Charlotte Street. 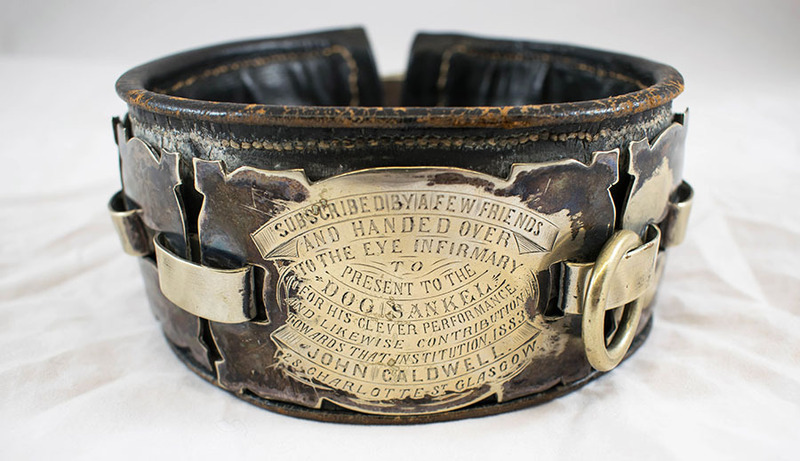 The collar is inscribed with the following words: "Subscribed by a few friends and handed over to the Eye Infirmary to present to the dog Sankel for his clever performance and likewise contribution towards that institution. 1883. John Caldwell, 28 Charlotte St, Glasgow." 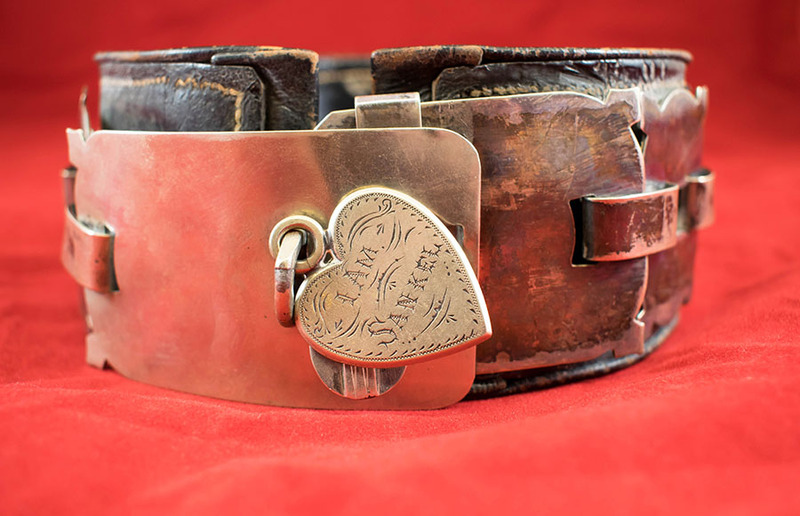 “Sankel's Dog Collar,” Heritage, accessed April 24, 2019, https://heritage.rcpsg.ac.uk/items/show/42. 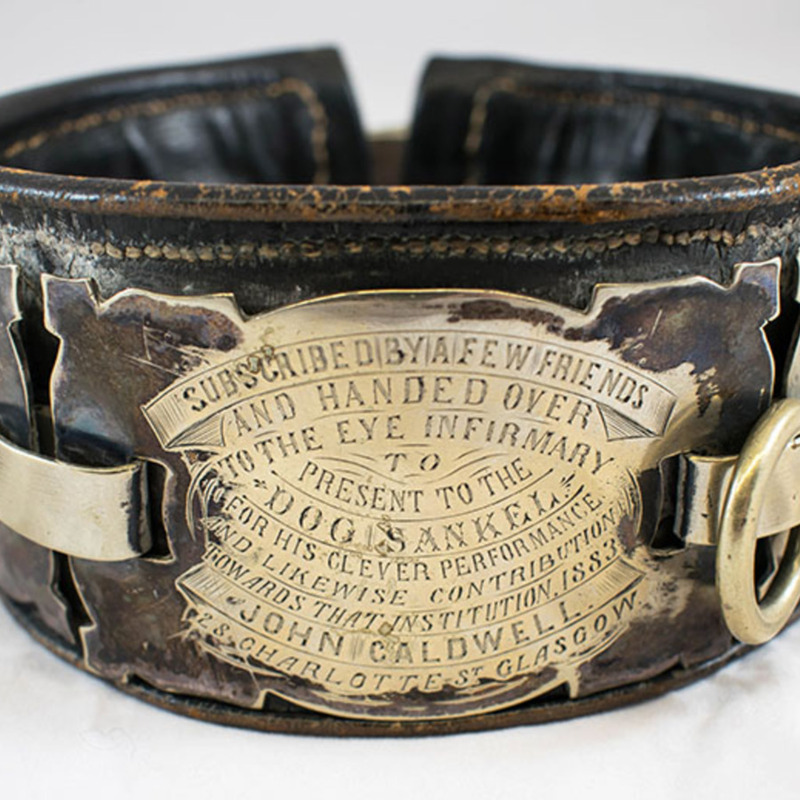 Description: Sankel was a dog who wore this collar to which was attached a collecting box for the Glasgow Eye Infirmary. He performed various tricks in public houses around Charlotte Street. The collar is inscribed with the following words: "Subscribed by a few friends and handed over to the Eye Infirmary to present to the dog Sankel for his clever performance and likewise contribution towards that institution. 1883. John Caldwell, 28 Charlotte St, Glasgow."